A seed is the part of a plant that contains the embryo of a future plant. To provide the embryo with a good source of energy, the seed often contains stored nutrients and oils that make the seed high in fat (good). 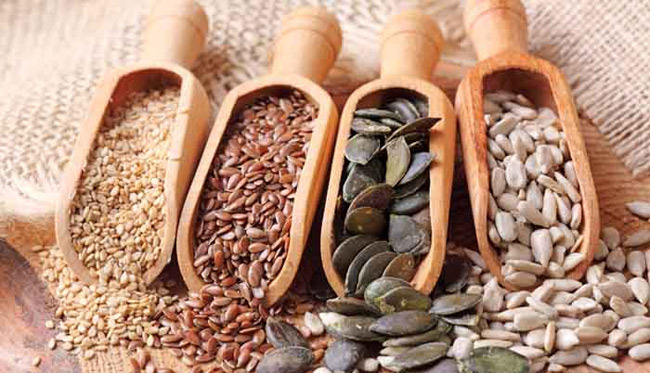 Seeds are excellent sources of fiber, selenium and vitamin E, and fairly good sources of protein, zinc, and iron. Because they contain a concentrated source of fat and calories, it is best to enjoy them in small amounts (1/8 – 1/4 cup), 3-4 times a week. There are several varieties of seeds, which come in all different colours, shapes, and sizes. This week we cover top 10 needs that are a must in your diet. Flax Seed: Also known as linseed, is noted to have high nutritional value, making it a priority choice of food for health conscious people. Flax seed has the natural properties of fiber, lignans and omega-3 fatty acids that provide preventative and restorative abilities to your diet. There are two types of flax seed. One type is grown for the seed use and considered an oil seed variety. The other is grown specifically for fiber production to be utilized in the texture industry. The immune-enhancing omega fatty acids 3, 6, and 9 are balanced in flaxeed in the combination your body requires for optimal health. Also loaded with vitamins and phyto-nutrients, and an excellent source of protein and fiber, flaxseed is nature’s gift to health! They can be ground or baked, sprinkled on cereal, in a smoothie, on top of salads, or added to granola. Also use them to replace eggs in baking recipes. Cumin Seed: Cumin is a seed that has been used since antiquity. It’s health benefits and medicinal uses were well known even then. The health benefits of cumin for digestive disorders has been well known throughout history. It can help with flatulence, indigestion, diarrhea, nausea, morning sickness, and atonic dyspepsia. Recent studies have revealed that cumin seeds might also have anti-carcinogenic properties. In laboratory tests, this powerful little seed was shown to reduce the risk of stomach and liver tumors in animals. 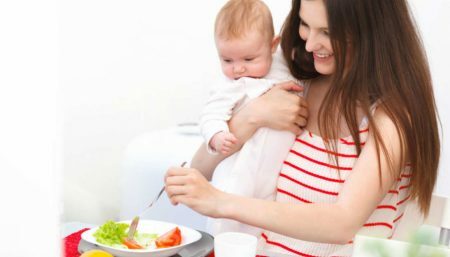 It is rich in iron and thus very good for lactating mothers as well as women who are undergoing menses or who are pregnant, since they are more in need of iron than others. Moreover, cumin is said to help ease and increase secretion of milk in lactating women due to presence of Thymol, which tends to increase secretions from glands, including milk which is a secretion from mammary glands. It is more beneficial if taken with honey. Cumin has remarkable amount of calcium (above 900 mg per 100 grams) which accounts to over 90% of our daily requirement of calcium. This calcium is an important constituent of milk and hence cumin is very good for lactating mothers. Sunflower Seed: They are very low in cholesterol and sodium, thereby protect your heart. These seeds are a good source of vitamin B6, B12 thiamin, magnesium, copper, phosphorus, manganese and selenium, and are rich in vitamin E (Alpha Tocopherol). To keep your daily nutrition upright, you should opt for these seeds. Sunflower seeds are also very good for your digestion and brain health. Iron in sunflower seeds distributes oxygen to your muscles, while zinc strengthens your immune system and helps you to stay away from cough and cold. Magnesium is also essential for strong bones and energy production. Almost two-thirds of the magnesium in the human body is stored in the bones. Magnesium aids the bones to have their physical structure, the remaining magnesium is found on the surface of the bones, which is used up by the body as required. 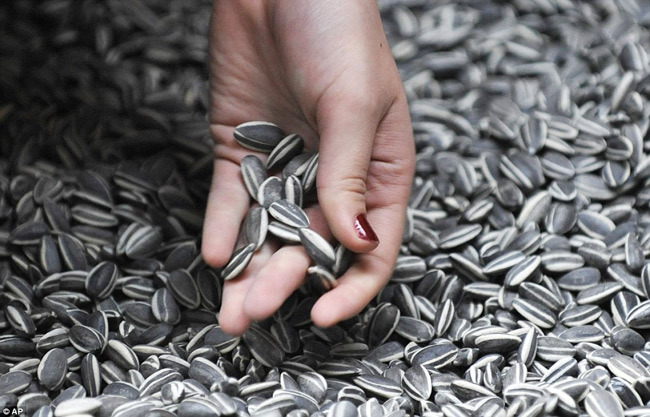 High magnesium content in sunflower seeds lowers your blood pressure; thus it reduces the possibility of a heart attack. If you buy unshelled seeds, make sure that they are not broken or dirty. They should be strong and not limp in texture. When you buy shelled seeds, avoid the yellowish ones as they probably have become rancid. Sunflower seeds have high fat content that can go sour, thus it is always advisable to store them in an airtight container in the refrigerator. You can also store them in the freezer. You can eat the seeds raw, roasted, or use it for flavor and texture in your selected recipes. 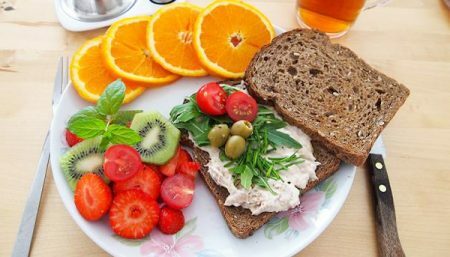 Today, most of the people prefer taking sunflower seeds as a healthy snack between meals. Pumpkin Seed: They support the function of the immune system, assists prostate health and helps lower cholesterol levels. They are also a useful source of omega 3 fatty acids and zinc. They should be eaten in moderation, however, as they are high in calories. Pumpkin seeds are also very good source of beta carotene, Omega 3, minerals magnesium and manganese, zinc and copper. In addition, pumpkin seeds are a good source of vitamin K. The seeds contain phytosterols, compound found in a plant that is believed to reduce cholesterol level and prevent some cancers. Pumpkin seeds are best purchased raw, unroasted and unsalted. In the winter months, low toasting increases their flavour and digestibility. Otherwise, use them raw on salads and in soups, or blend them into salad dressings and smoothies. Sesame Seed: They contain sesamin and sesamolin, substances that is believed to prevent high blood pressure and protect the liver against damage. 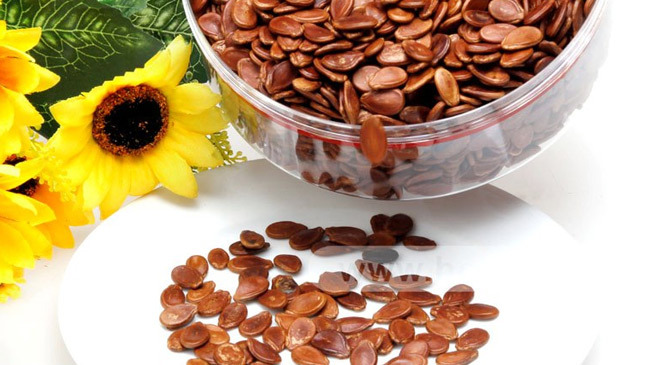 These seed is a good source of Vitamin E, that is why it can help strengthen the heart and the nervous system. Sesame oil can help remove wrinkles and other skin diseases when applied externally. A half cup of sesame seeds contains 3 times more calcium than half cup of whole milk, but watch out excess intake can lead to weight gain. Just a hand full of sesame a day provides enough recommended levels of phenolic anti-oxidants, minerals, vitamins and protein. You may choose from whole, husked or air-dried seeds in the stores. There may be black, brown, yellow or white color seeds packed in air-seal packs as well as in bulk bins. Husked seeds appear white. Fennel Seed: They are 4-8 cm long, thin and slightly curved with colors that vary from brown to light green. Iron, and Histidine, an amino acid found in fennel, are helpful in treatment of anemia. Where iron is chief constituent of haemoglobin, Histidine stimulates production of haemoglobin and also helps forming other components of blood. Fennel is also an Emenagogue, i.e. it eases and regulates menstruation by regulating hormonal action properly in the body. Fennel is most popular as an anti flatulent, laxative. also effective in curing diarrhea. The juice of fennel leaves and the plant can be externally applied on the eyes to reduce irritation and fatigue of eyes. So nothing wrong in popping some of these beneficial seeds after meal .At least one can say they have better properties than our chewing gum right …. Hemp Seed: One of the most important features of hemp seed is that is a superior source of protein. It also contains a wide variety of minerals and vitamins, but its most distinctive property is that it provides both omega-6 and omega-3 essential fatty acids, or EFAs. These acids are known as linoleic and alpha-linolenic, respectively. Hemp seed oil is highly emollient and can be used directly on the skin to nourish and regenerate. Consumption of hemp oil and hemp seed is ideal for people with low essential fatty acid intake, and also perfect for athletes. It is of course particularly valuable to the veggie/vegan population, and even more so for veggie/vegan athletes, who are always looking for complete protein sources. One of the easiest ways of consuming hemp is in smoothies. Just mix a handful of organic hemp seed (whole or de-hulled) with fruit and juice of your choice in a blender. Perfect for children too. Watermelon Seeds: The seeds are very high in protein, with 1 cup of dried seeds containing 30.6g, which is 61 percent of the daily recommended value. The protein in watermelon seeds consists of several amino acids, one of which is arginine. Watermelon seeds are also loaded with several of the B vitamins. The American Cancer Society reports that B vitamins are necessary for converting food into energy and other important bodily functions. The most prevalent B vitamin in watermelon seeds is niacin, with 1 cup of dried watermelon seeds containing 3.8mg, which is 19 percent of the daily value. Other B vitamins in watermelon seeds include folate, thiamin, riboflavin, vitamin B6 and pantothenic acid. The most surprising thing about watermelon seeds is the amount of fat they contain. In 1 cup of dried seeds, there are 51g of fat, with 11 of those being saturated fat. The other fats are monounsaturated fats, polyunsaturated fats, and omega-6 fatty acids. 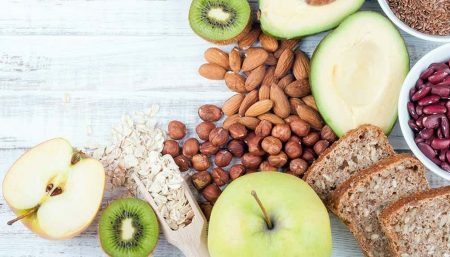 The American Heart Association reports that mono and polyunsaturated fats reduce blood cholesterol, and omega-6 fatty acids can help reduce high blood pressure. Magnesium is the most abundant mineral, weighing in with 556mg, or 139 percent of the recommended daily value, in 1 cup of dried seeds. 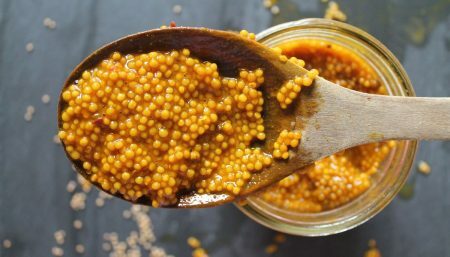 Mustard Seed: Being a great source of selenium and magnesium, mustard seeds can decrease inflammation and reduce the symptoms of such diseases as rheumatoid arthritis or asthma. The seeds also contain isothiocyanates, known for their anti-cancer effects. Other useful elements and nutrients which can be found in mustard seeds and mustard greens are calcium, iron, manganese, phosphorus, zinc, niacin, dietary fiber and very valuable omega 3 fatty acids, which can lower cholesterol levels and protect us from having heart disease. Mustard products have been used also to speed up metabolism and this way to improve the function of digestive system. One of the most important health benefits of mustard seeds is being helpful in reducing the frequency of migraines. Mustard products and mustard oil have been effectively used for centuries for lowering high blood pressure and preventing atherosclerosis. Massaging your scalp with mustard oil will help you to substantially improve your hair quality and prevent hair loss. Another interesting property of mustard seeds and mustard green is stimulating salivation and improving appetite. They are considered to be a great source of power and bioenergy, and mustard seeds products can also help you to improve your immunity and assist in fighting against insomnia. Grape Seed: Vitamin E, flavonoids, linoleic acid, and OPCs are highly concentrated in grape seeds. They can be one of the best antioxidant, which may help prevent or relieve symptoms of certain conditions, such as vision problems associated with diabetes and wound healing. The safety of long-term use of grape seed is unknown, and more studies are needed to provide definitive answers. Some research shows that consumption of grape seed and grape skin in combination, such as in red wine, grape juice or a commercially available vitamin supplement products, may be more beneficial than grape seed alone. Further research is needed. A commercial form of grape seed called Activin may help reduce the inflammatory response in patients with systemic sclerosis. 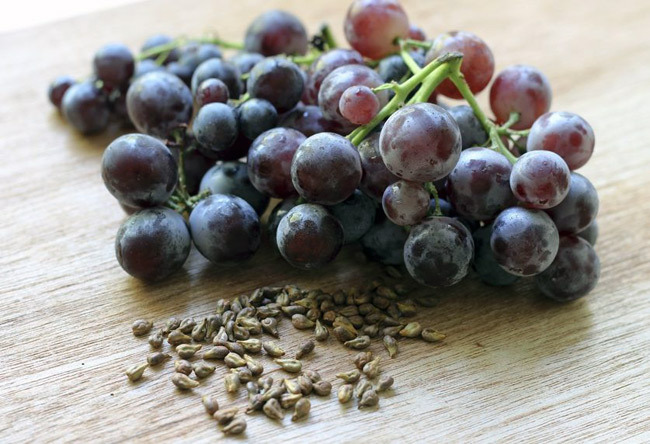 Pregnant or breast-feeding women should avoid grape seed. People actively bleeding, those with blood disorders and those taking blood thinners should also avoid grape seed. All these seeds needs to consumed in moderation, for they are high in nutritional content.